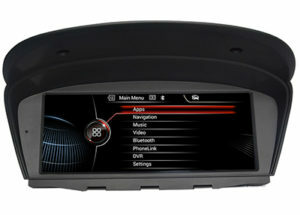 Are you interested in upgrading and replacing the factory BMW e60 stereo with an aftermarket Android head unit? 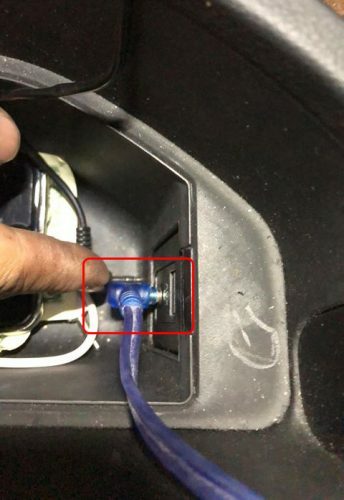 If your answer is yes, you should check these things before buying, follow these guides will help you a lot to get the correct unit for your car. 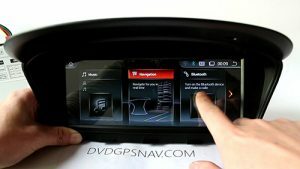 How does an aftermarket BMW e60 stereo head unit look like? How to check if my BMW e60 has working aux? 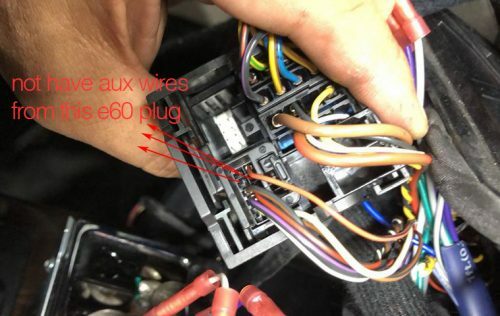 Factory aux is very important for BMW e60 which wants to be upgraded with an aftermarket navigation head unit, it doesn’t matter if your e60 has factory navigation or not, but aux is important, why? 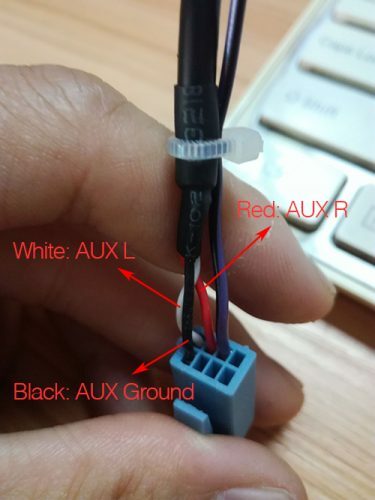 Because the sound transfers to your car speakers through factory aux mode, if your car does not have aux, you need to get a small amplifier to transfer the sound, or you can coding aux from BMW. 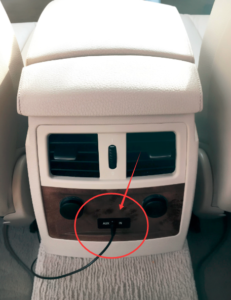 Besides, if you connect your phone with a aux cable, the music sound from your phone can come out from car speakers. Overall, if you are able to enter into the aux mode as above and can play music with your phone via aux, your car has a working aux. 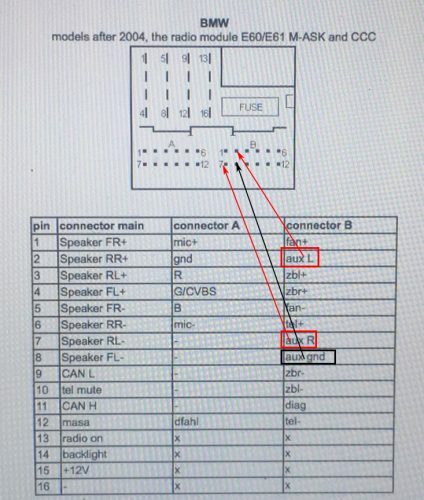 My car does not have aux, can i still install it? 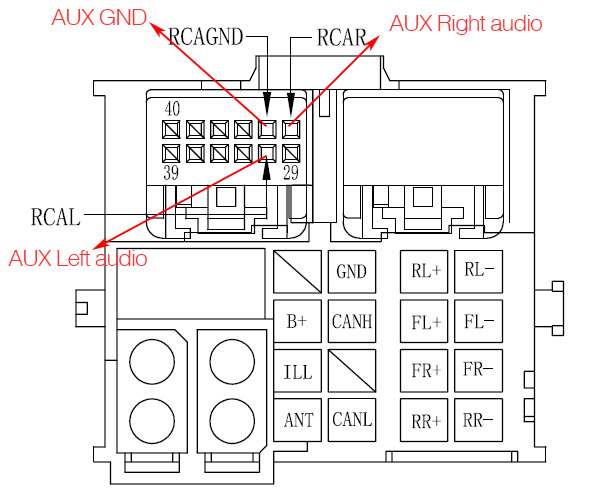 That depends on, if you can make sure your car does not have aux function and not with fiber optic amplifier, you can still install this BMW e60 android head unit, just remember to choose the option of small amplifier, which is used to transfer the sound from the new unit to your 4 car door speakers, and make sure your car does not have fiber optic amplifier, because the small amplifier option does not work with the fiber optic amplifier. 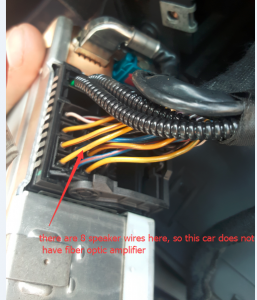 Our small amplifier connects to your 8 speaker wires from factory wiring harness behind the radio/CD directly to get sound, so the sound does not go through factory amplifier or subwoofer if your car has it, so the sound quality may not so good compared with sound quality from radio or CD if your car has more than 4 speakers or amp or subwoofer. 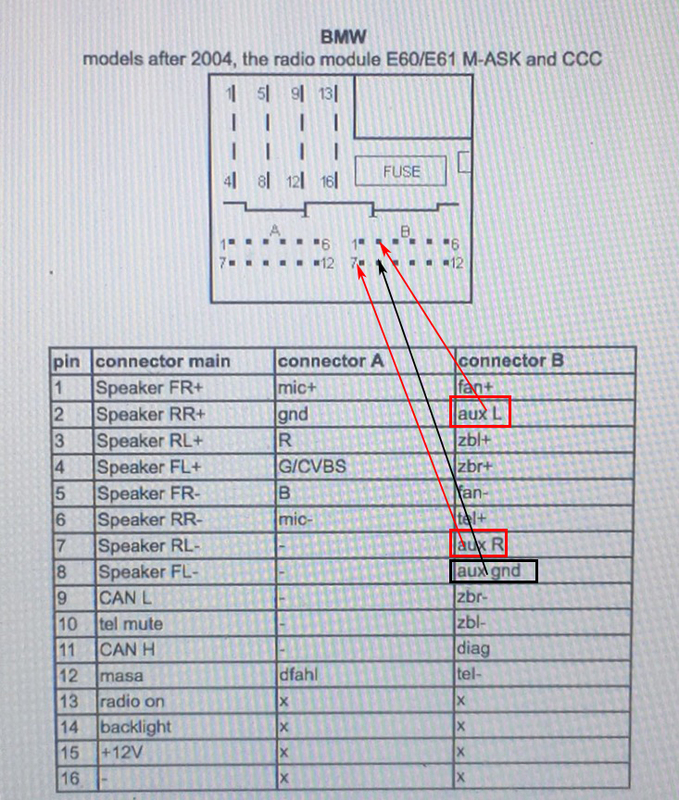 How to check if my e60 has fiber optic amplifier? 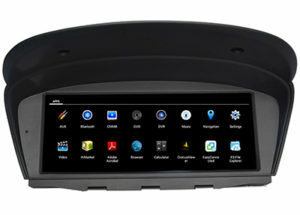 Our BMW e60 android headunit fits and works for BMW e60 with 6.5″ and 8.8″ factory screen. Most BMW e60 come with factory small 6.5 inch screen, and there are also some with 8.8″ large screen, please note the factory settings are different for different factory screen sizes, the new screen is with large 8.8″ HD 1280*480 resolution capacitive screen, so you’d better send us your screen photo to us, so that we know the screen size and send you the correct model with correct screen settings. 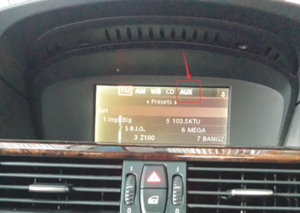 My BMW E60 comes with a Voice button near the MENU button from idrive controls, can i install this unit? Sorry, if there’s a voice button near your MENU button, our unit does not work, so you should not install it. 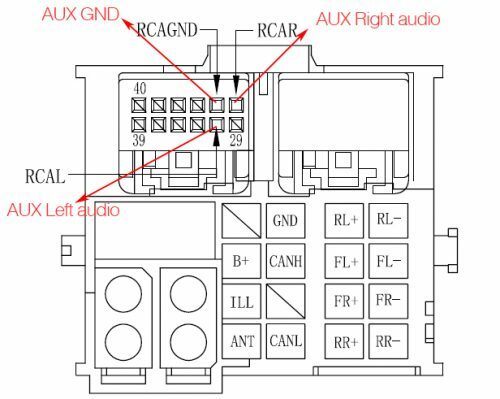 These are four important aspects you should check before you buy an aftermarket BMW e60 stereo head unit, if you follow the above guides, you won’t get a wrong product, and it can save you much time for installation, how to install BMW e60 android head unit? That’s not difficult for a professional car stereo shop.